Join Team Starfish in this 10k event in the heart of Manchester. The Great Manchester Run 10k starts in Manchester City Centre on Portland Street. The 10k stretches past city sights including Manchester United’s Old Trafford stadium, the award-winning Imperial War Museum and The Lowry. The route will also take you on the famous cobbles of Coronation Street’s new set. And the final landmark almost marks the finish line – the 47-storey skyscraper that is Beetham Tower. The 10k event demonstrates the spirit, determination and togetherness of the city. So apply to be part of Team Starfish today! 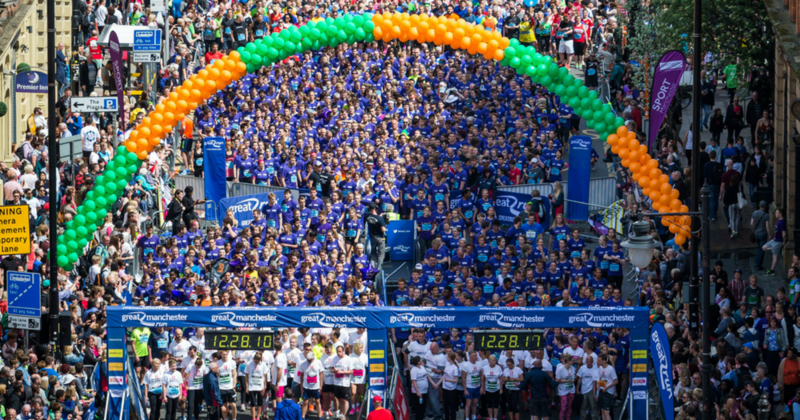 How do I sign up for the Great Manchester Run 10k? To apply for this 10k run, please complete this short online form. Why run the Great Manchester Run 10k for the Family Holiday Association?